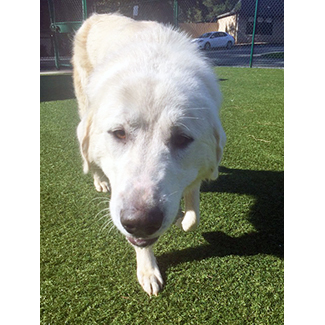 Hey there, I’m Tamsin, maybe a little underweight at 87 lbs but since I am only one and a half or maybe two years old, I have plenty of time to reach my ideal weight. I just need someone who loves me, and has thumbs, to please put food in my bowl. Oh, and speaking of nice humans, a very smart person recently told me my name is of English origin and means “twin.” Maybe I was wandering around alone looking for my twin when GPRA found me? I just started living with a very nice foster so I am excited to discover what I enjoy doing, if I like playing with other dogs (or cats! ), and how I feel when I am left alone. 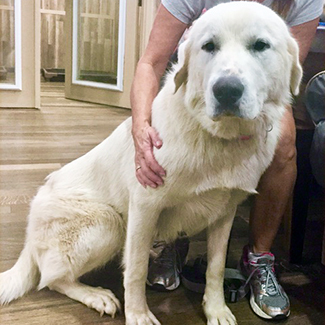 Or, if you think you might be my twin, or want to be my family now, you can email info@greatpyratlanta.com or click the “Apply to Adopt” button now and talk to the pawsome adoption team about me!